I was burning off a huge pile of garden waste this morning when I discovered something interesting about the lowly agapanthus plant. That’s it there, on the left. 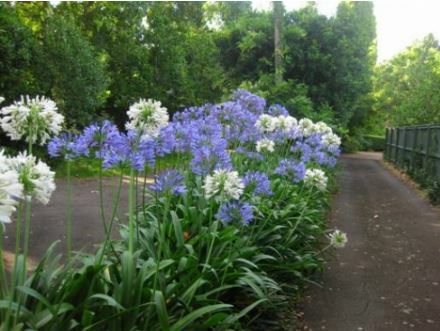 Originally from South Africa, the agapanthus grows wild here in Warrandyte, and is considered a noxious weed by Nillumbik Council. 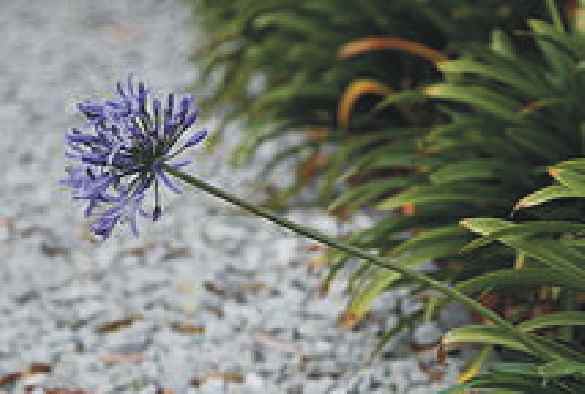 I have always had a less purist attitude to non-natives than the local Council, but even so, I have never found the agapanthus to be a particularly attractive plant. I have it in my garden, but I have never felt kindly towards it, until now. “Why this sudden change of heart,” you ask. 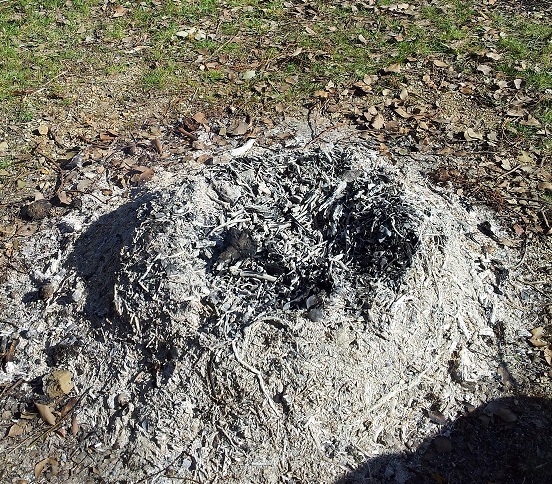 First up we have a picture of a pile of hot ash. It was taken at 9.26 am, and is the result of almost 3 hours of burning off, so it is still very, very hot. 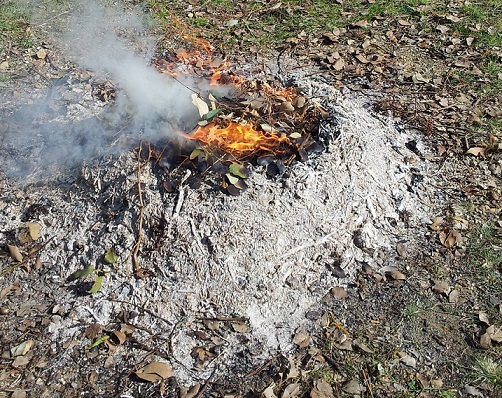 Next we have a picture of some gum leaves and small branches bursting into flames on top of the pile of hot ash. Time – 9.29 am. I did not strike a match, or a lighter or anything else to get the gum leaves to burn again. The residual heat of the ash was all it took. I’d also like to point out that we had a lot of rain 2 days ago. 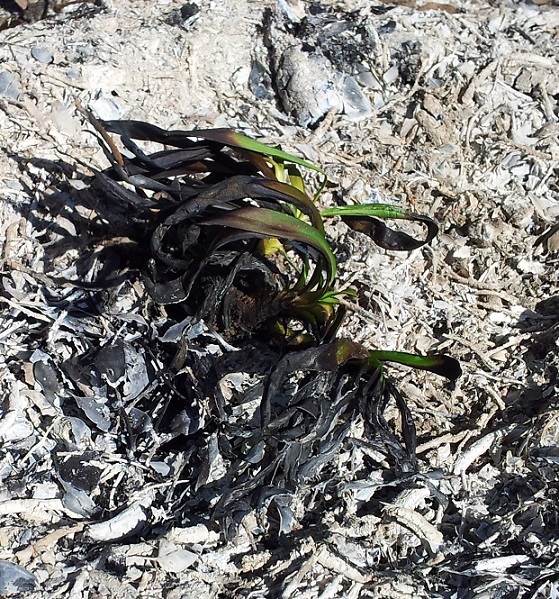 Picture no.3 is of a small agapanthus I pulled up by the roots and threw on the barely smoldering fire. Time – 9.30 am. Basically I was trying to see how long the agapanthus would take to burn. I literally used the stop watch function on my mobile phone for the job. After 3 minutes and 25 secs, something flared and a small section of the agapanthus burned for approximately 3 seconds. Then the flames went out. Time – 9.35 am. There was another flareup approximately 4 minutes later, but by the time I’d stopped the stopwatch function, changed to camera function and returned to the fire, this second flareup had gone out as well. 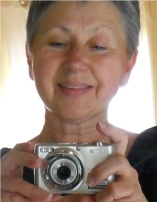 The timestamp on the camera says 9.39 am. As you can see, the poor agapanthus is getting scorched, but a) it’s taking a long time and b) only the dried out extremities of the plant burn. As soon as the dried out sections burn off, the flames reach a wet, green section and immediately go out. 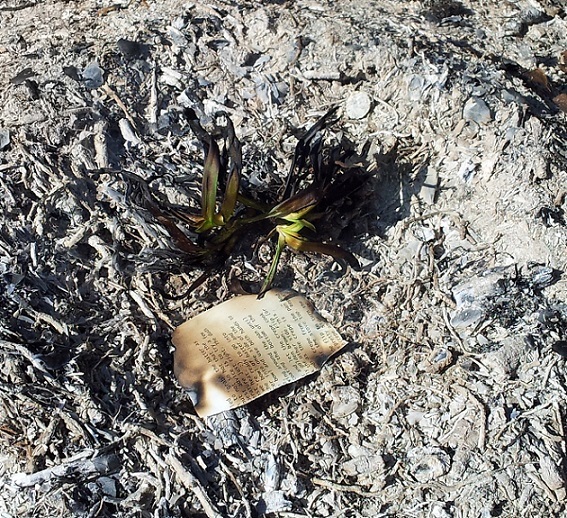 The next photo shows a small scrap of paper getting nicely scorched next to the remains of the agapanthus. The purpose of the paper was to test the heat of the ash pile – i.e. 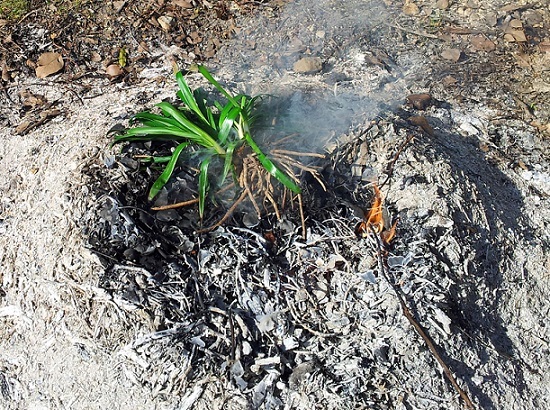 to test if the agapanthus was not burning because the ash pile had cooled down too much. As the photo shows, the pile was still quite hot. Time – 9.44 am. 40 minutes after beginning the experiment, I pulled the agapanthus from the ash pile and let it cool down so I could get a better look at it – and take a better photo. You have no idea how hot I got while taking photos close to the ash pile! 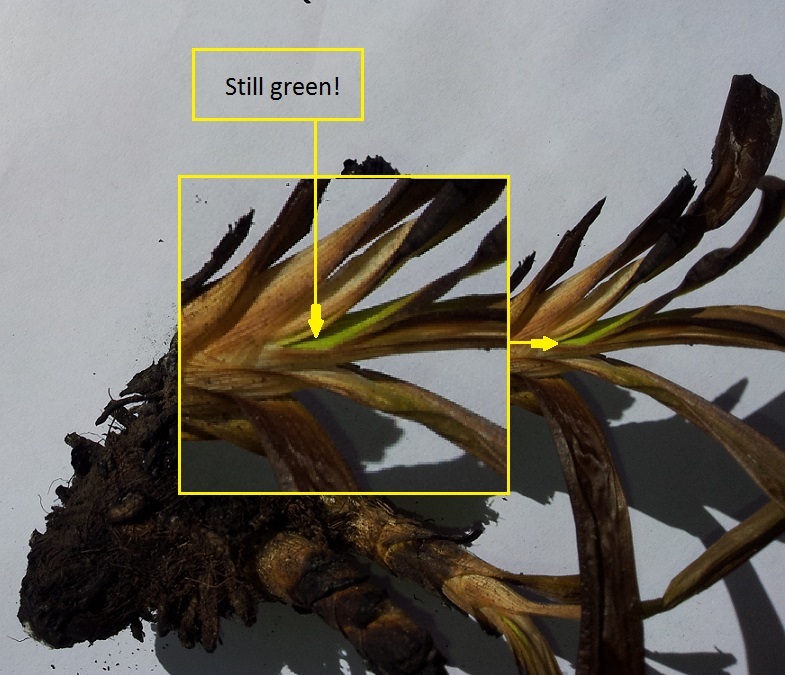 The final photo shows that despite being reduced to a blackened stump, the agapanthus still retains some green at the base of its stems [?]. Time – 10.10 am. 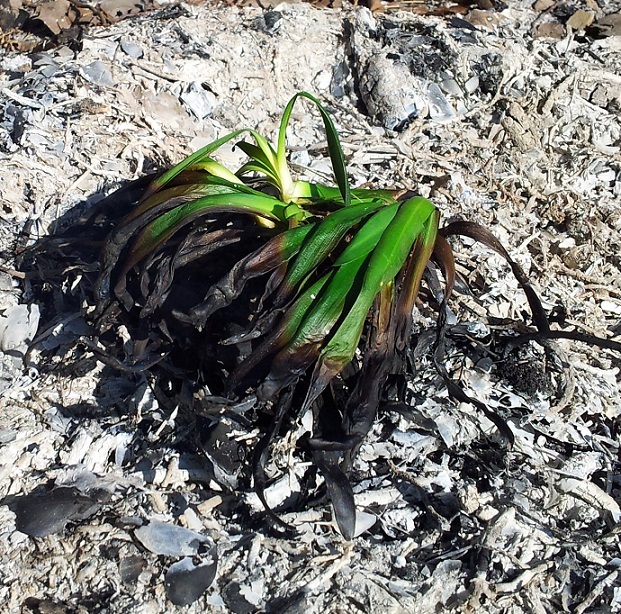 Now I’m not saying the agapanthus won’t burn at all – clearly it will – but I do want to make the point that this plant is remarkably resistant to fire. 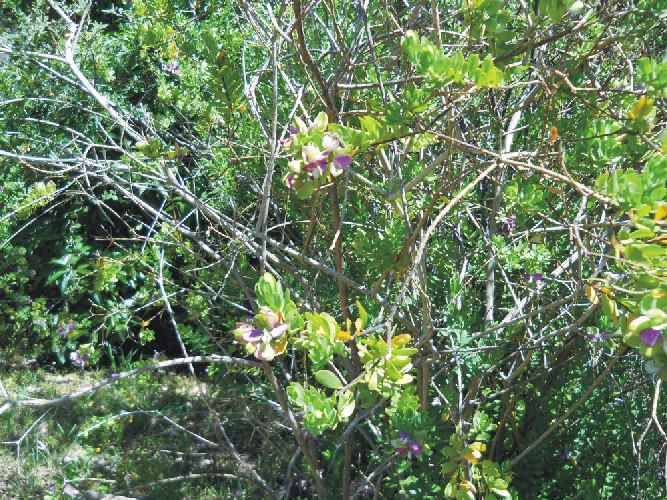 In massed plantings it may even slow the rate at which a bushfire advances on your house, or mine. 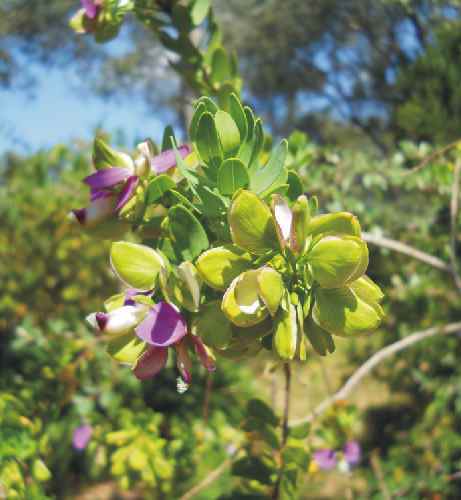 As such, I think it’s time we stopped thinking of this plant as the ‘enemy’, and embrace it as an appropriate plant for bushfire prone areas. A few weeks ago I did a series of burns to prepare my block for fire season. I kept these bonfires very small for fear they’d get out of control, even with everything so damp. As a result, I had to struggle to keep my fires going, yet even so I learned some interesting things about what does, and does not, burn in my part of Australia. As expected, the dry leaves and twiggy branches of gum trees burn very nicely, thank you very much. However I also discovered that even relatively fresh gum leaves will burn. As these leaves contain highly volatile oils, I should not have been surprised by this either. Still on the subject of leaves and volatile oils, I threw some lemon tree prunings onto the fire and took a big step backwards, expecting the branches to explode into flames. The leaves did burn quite nicely but the branches seemed to burn no better than any other green wood. Once these flowerheads and stalks dry off, they burn like paper. The green leaves however took a long time to dry out and eventually burn. For me, the lesson here was that clumps of well maintained agapanthus may help extinguish embers. At a certain temperature, however, anything can and will burn. While cutting out the dry agapanthus stalks, I also trimmed back some branches of a very hardy, invasive and hard to eradicate shrub whose name I don’t know. I remember finding pictures of it once, as part of a listing of ‘weeds’ in the Warrandyte area. The reason I want to name and shame this plant is that it snap, crackles and pops on the fire… even when it’s fresh and very green. This thing seems to burn even better than gum leaves, and in a bushfire I can imagine it merrily shooting off burning embers in all directions. I know Nillumbik Shire Council considers it to be a noxious weed because it is not indigenous to the area, but they have done nothing to force residents to eradicate it. Nor have they, themselves, eradicated it from roadsides and other public places. This stuff should be attacked without mercy because it burns so well, not because of any airy, fairy conservationist principles. Now that I know how dangerous this unnamed plant truly is, I’ll be blitzing it with a vengeance. If you know what it’s called please let me know asap! b) burning off on the spot where the piles used to be. I suspect the smell of the ash and charcoal masks the smells that tell the alpacas ‘Here be the toilet’. I’ve tried sprinkling lemon oil over these unwanted piles but it didn’t work as a deterrent. The burns will work, so long as you repeat the process until the alpacas ‘forget’ and move on to somewhere else. They can be rather stubborn so even this is not a magic bullet. As always, I would love to see my fellow residents taking a more proactive part in keeping Warrandyte safe[r] from bushfires.